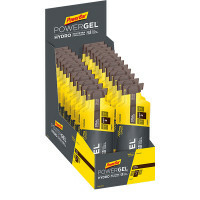 Did you give everything you had during the past hour and now you want a PowerGel® that doesn't require any additional fluid to consume it? Then you should try the PowerBar PowerGel® Hydro. Through C2MAX it provides you with carbohydrates in a scientifically developed 2:1 ratio of glucose and fructose sources. 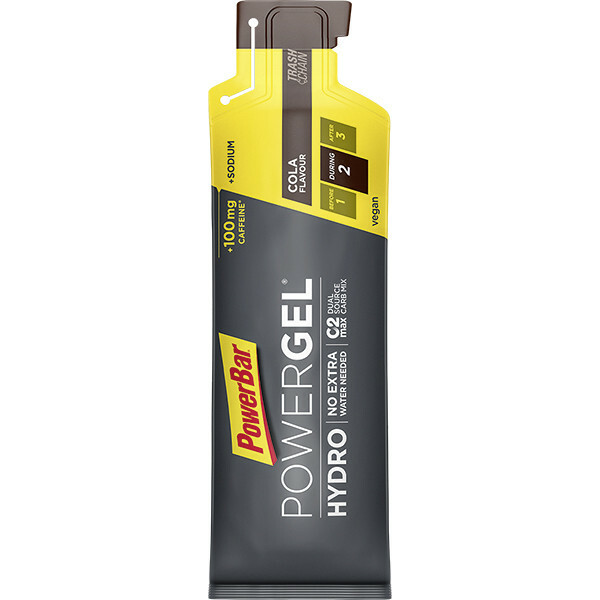 The liquid consistency of the gel is easy to swallow and doesn’t require you to drink immediately afterwards as with other gels. Ideal for runners or athletes who prefer a more liquid gel. Water, maltodextrin, fructose, sodium chloride, natural flavourings,acid (citric acid), sodium citrate, caffeine (0,1%), preservatives (potassium sorbate, sodium benzoate), stabiliser (xanthan gum). 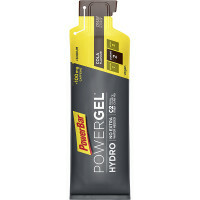 Consume 1 pouch per day during exercise. High caffeine content. Not recommended for children or pregnant or breastfeeding women. (150 mg/100 ml, 100 mg/pouch).